A fine fine film for many occasions. 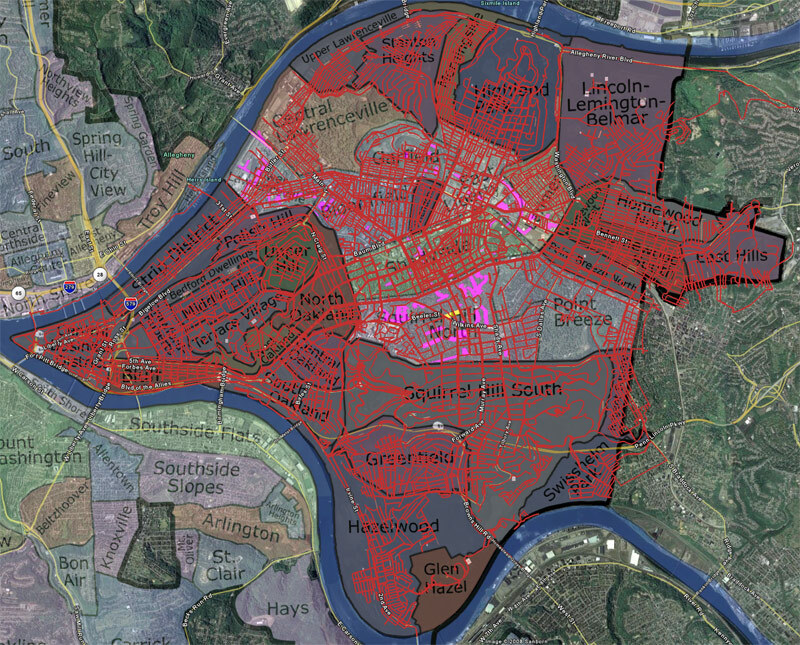 A question: Where did you get the data on what the exact boundaries for the various neighborhoods are? I suppose since you were able to make the map these must be set in stone somewhere, but I never really considered it - are they official municipal entities? The map is confusing: Point Breeze doesn't seem to have any pink segments in it, yet it's not darkened. This might just be because of the scale. very observant. Point Breeze is close to my house and not on the way to anything (because of various parks and geography) so it is the only neighborhood I haven't yet made a serious coverage effort in. Therefore it has no cleanup-todo list. It will probably be the last one I finish, aside from my home 'hood of Shadyside, which I am deliberately saving.